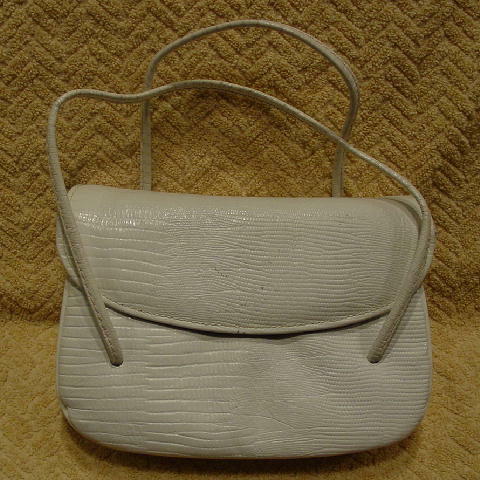 This vintage embossed lizard white leather handbag has 3 separate interior sections with black/eggplant colored fabric lining. The back section has a zippered pocket with a white lining. It has two 18 1/2" long handles which originate in the center of both sides of the bag. The modified envelope styling has a snap closure under the front flap. 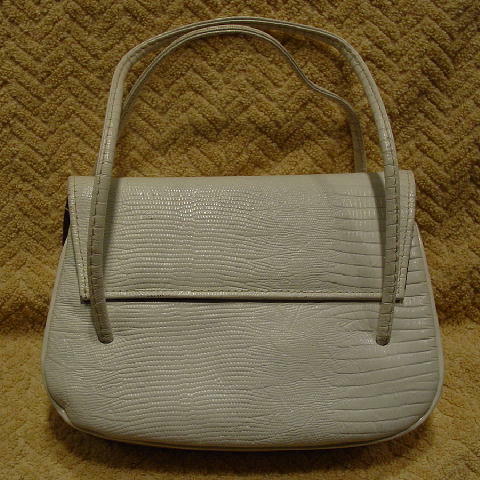 There are several areas on the front flap where the white color has worn off the lizard print. It has nice detailing and is well made.